Wilder Research and APM Research Lab have taken on the cutting edge of data collection in journalism. The two organizations set out to find information on how media professionals perceive racial narratives, how they feel about racial representation in the media, and to understand the level of training they received. Information was collected by a survey administered to media professionals from mid-January to early-February. The survey was initiated by the Truth and Transformation: Changing the Racial Narrative in Media conference partners to help inform conversations at the conference. 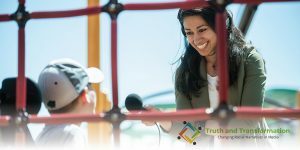 The Truth and Transformation project was guided by a breakthrough media survey. Galos says there was little information in the academic world to serve as a jumping off point for the “groundbreaking” initiative. He and his colleagues have been breaking down the survey results since its completion. He notes that a lot of media professionals who provided responses were lacking sufficient race-related training, yet most felt “equipped” to cover communities color. Riham Feshir, a reporter for Minnesota Public Radio and participant at the conference, was one of the media professionals who took the survey. The survey does, however, come with a disclaimer. The samples were not randomized, and the participants self-selected if they would answer. That means the results are not “scientifically representative,” according to the APM Research Lab website. Galos said it is important for those reading the survey results to understand this, but he added he is just starting his work when it comes to revealing the reality behind the perception of race in the media.